Check out Tobi's Hollow Heart Hoop Earrings You're about to have major heart eyes for the Hollow Heart Gold Hoop Earrings. These oversized gold hoop earrings feature a classic hoop shape with a dangling heart charm engraved to beautiful perfection. Pair these heart earrings with layers of dainty necklaces to complete the look. You're about to have major heart eyes for the Hollow Heart Gold Hoop Earrings. 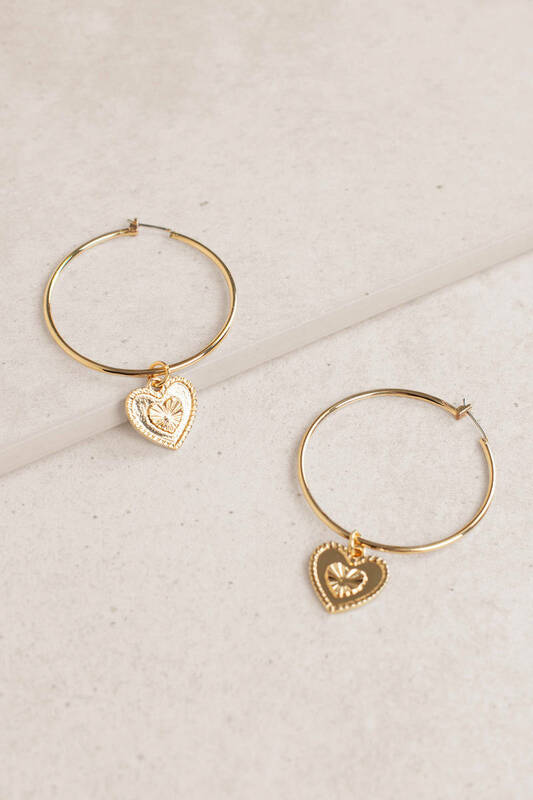 These oversized gold hoop earrings feature a classic hoop shape with a dangling heart charm engraved to beautiful perfection. Pair these heart earrings with layers of dainty necklaces to complete the look.